If you love hiking, you’ll love it. There are world-class hiking trails around the Island. The prettiest hiking trail of the pacific coast is located here. It’s the Kalalau Trail, the Napali Coast Trail. It’s just amazing. You’ll walk through the Hawaiian rainforest, on cliff sides to incredible beaches and waterfalls. And most of the time you’d be able to see the sea. I think it’s better to show you some photos of this trail than write about it. So feel free to skip this article and go directly to the photos. True, no Hawaiian experience is complete without its beaches. You’ll love it. As you can see in the pictures above it’s possible to walk to lonely beaches. Imagine what you can do there. 🙂 My favorite beach was the Hanalei Bay because this was the first time I stood on a surfing board. It’s a good place to learn surfing because the waves are slow and easy. The following pictures in the photo album will show you some of my favorite beaches on Kauai. While you are driving around the island you’ll stop every few meters because of the stunning landscape. From Hanalei Valley to the lookout of the fantastic Kalalau Valley you’ll think that you never want to leave this place. 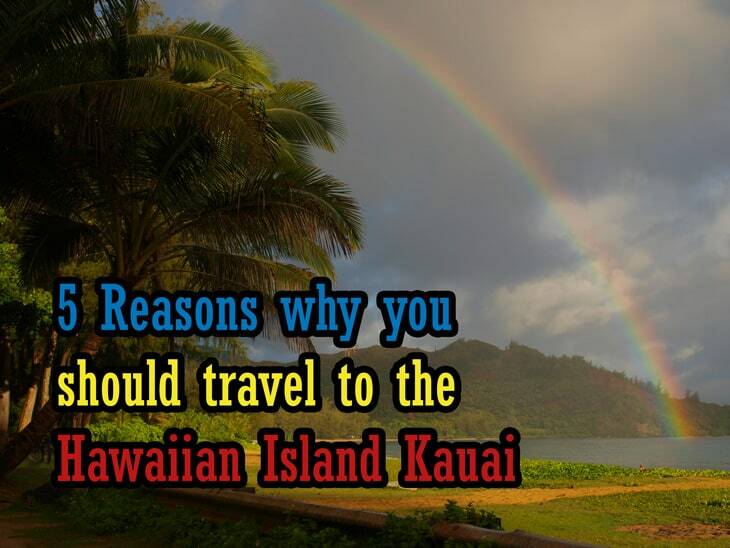 The following pictures will show you some of the landscape to expect on Kauai. It’s possible to sleep on camp grounds close to the beaches. The camp grounds are organized by the state parks and you’ll have to get permits for it. The prices are cheap compared to the high hotel prizes on the Hawaiian Islands. Have a look on the Hawaii State Park Website: http://dlnr.hawaii.gov/dsp/camping-lodging/kauai/ . Even if you’re on a small budget you can go to the camp sites. The State Park Officials will inspect the tents if they have a permit in the early morning at around 5:30A.M. When you don’t have a permit, be sure that you’ll leave with your tent BEFORE 5:30A.M. Anyway you’ll have to get up early for the beautiful Hawaiian Days. If camping is not your thing, you still can go to big hotels anyway. It is a small island compared to the others of the Hawaiian Islands though it has some of the greatest geography on our planet. But over 90% of this jaw dropping island can only be seen by a helicopter because it’s not possible to see it by foot. And so you can have a once in a lifetime experience by doing a helicopter flight over the island. Flights to Hawaii you can find everywhere. Ask me if you need any help. I’m happy to help you.